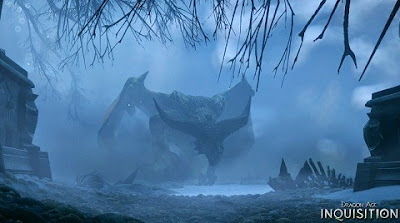 Dragon Age: Inquisition, selected at The Game Awards as the best game of 2014, allows the player to remove the abilities of a character to relocate them according to the need of the Inquisition. Improved skills that do not do much your playing style? So, check out our tutorial to restructure the skills of your heroes. First, use the fast travel tool to send your inquisitive group to safety. Go to the map of the Fortress of Heaven and locate the point that indicates the "Crypt". There, your character can see the option to "buy and sell" items, weapons, armor, accessories and valuables. 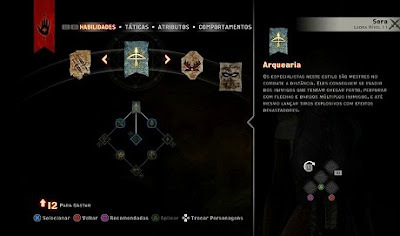 The item needed to remove all skill points of a specific character is known as "Renewal Tactics". The player can acquire it only with gold coins and the value is 345. Remember that there is no numerical limit to buy the accessory. Since you have money saved, the "renewal" can be purchased at any time. With the "Renewal Tactics" now available in your inventory, go to the "Accessories" tab to equip it to the desired hero. It's worth noting that the item can be used only once. If you want to reset the skill points to another character, you will have to buy it again. After that, let the menu "Inventory" to find the records of the characters. To illustrate the example, we chose to relocate the Sera of skill points, charismatic thief of the Inquisition. In the image below, note that the 12 Sera points won throughout the game are available to be redistributed. Finally define the skills of your chosen hero according to your strategic needs.